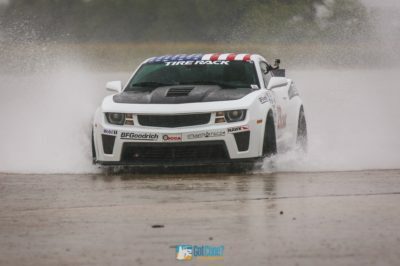 The inaugural American Rally Association season was an exciting one. 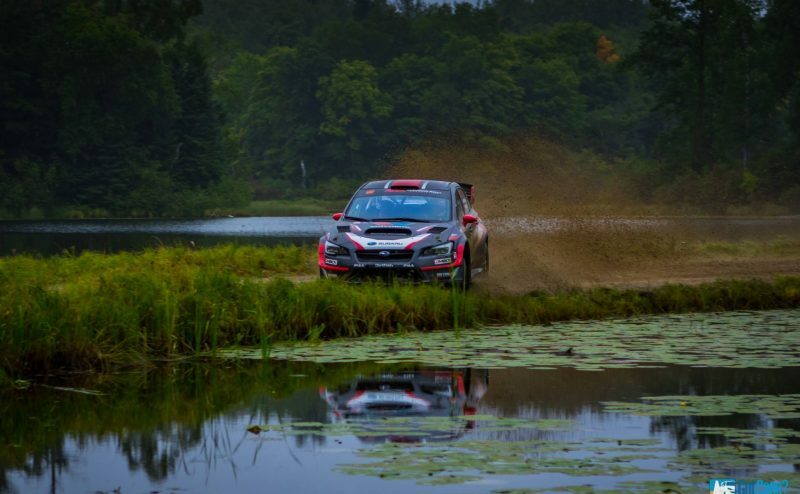 Subaru Rally Team USA teammates David Higgins and Travis Pastrana had been waging quite the battle all season long and with just one event left, Ojibwe Forests Rally, it all came down to this. 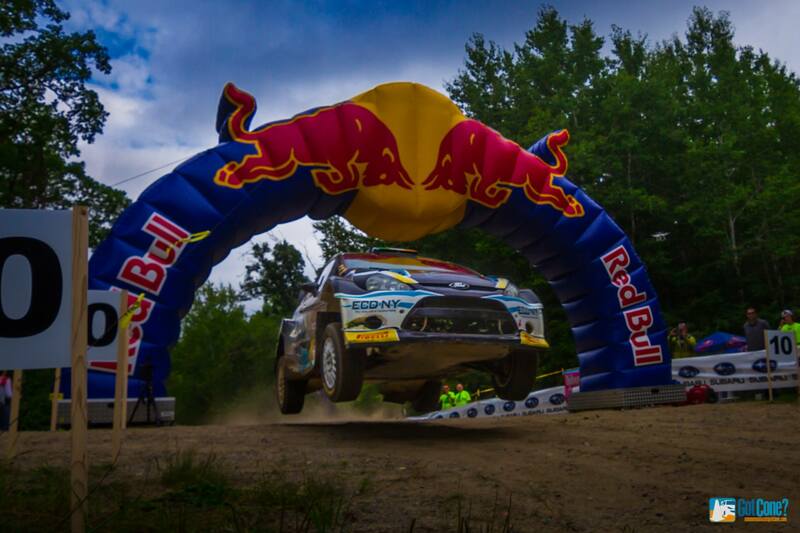 Higgins was holding on to a one victory advantage, if he and co-driver Craig Drew could hold off Pastrana and co-driver Robbie Durant and grab the victory in the forests of Minnesota they would be crowned the first ever ARA Champions. However Pastrana and Durant weren’t giving up just yet, with a victory at Ojibwe they could even up the series points and even overtake Higgins and Drew if they somehow slipped and finished worse than 2nd overall. 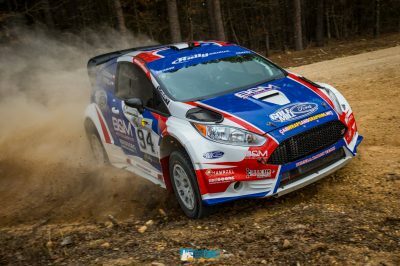 Pastrana started off fast taking stage victories on the first five stages, while Higgins played it safe leaving it up to Pastrana to make the first mistake. 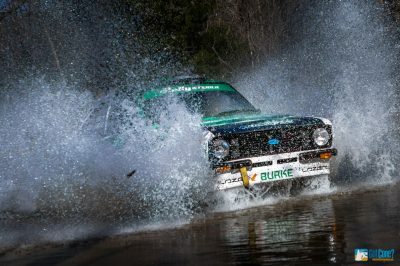 Meanwhile Barry McKenna and Leon Jordan in their WRC spec Ford Fiesta was proving they had the pace to be a factor in this final battle for the championship, setting faster times than Higgins on three of the first days stages. 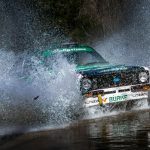 It was still a very tight battle despite Higgins suffering a puncture early in the rally, but the hardships for Higgins and Drew weren’t done. On stage 5 after driving through a water puddle that splashed mud on their windshield a misplaced GoPro camera stopped their wiper from cleaning off their windshield and they were forced to stop on stage to clean their window. The mishap also burnt out their wiper motor and cost them a minute and a half to the 199 car. 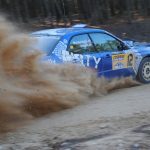 Higgins and Drew bounced back and finally took a stage victory on the final stage of the first day, but that only slightly closed the gap and they would enter the final day of the rally down by more than 2 minutes. 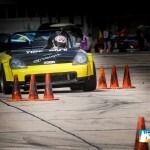 They would have some work to do put some pressure on Pastrana. 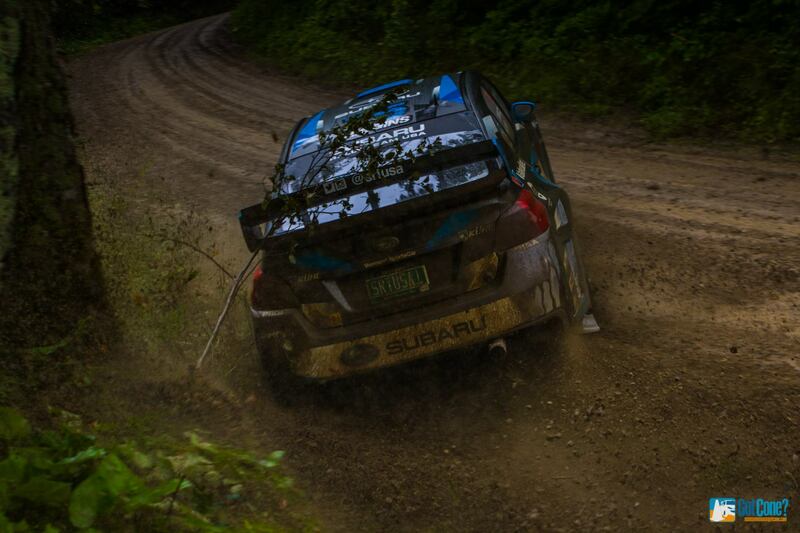 Higgins went straight to work on the first stage of the second day, carving 28 seconds out of Pastrana’s lead. Things did not end up so well for McKenna who had been sitting in 2nd place at the end of Day 1. A rock decided to separate a piece of the suspension from the rest of the car throwing it through the air and ending what was shaping up to be a great showing for the Fiesta. 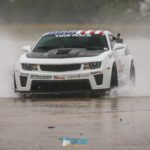 Despite the wet, muddy and sloppy conditions the 75 car of Higgins was able to cut Pastrana’s lead by nearly a minute, but it wasn’t enough going into the the final 2 street stages and Pastrana had sewn up the victory. The championship, however, had not yet been decided. 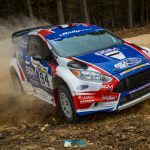 Pastrana would need to best Higgins on at least one of the two street stages through Detroit Lakes, MI to take the championship. 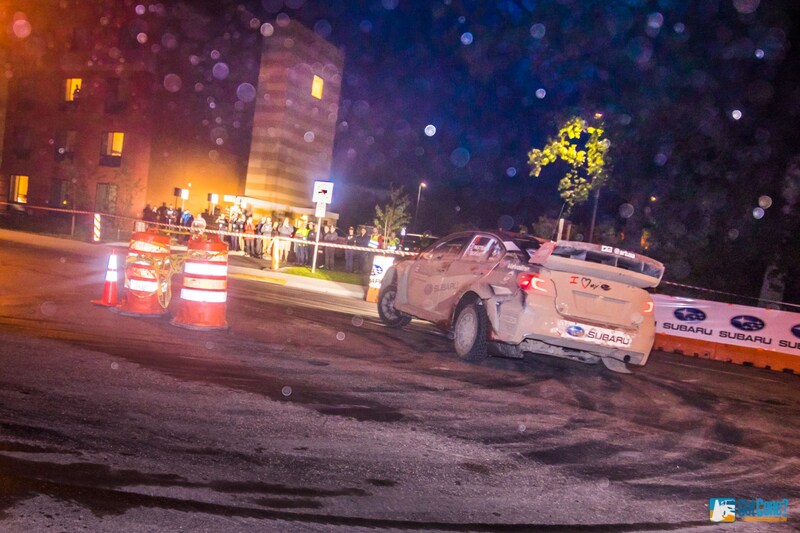 On the opening street stage, Higgins hit a chicane, suffering a penalty and handed Pastrana the victory. Who could’ve guessed it would come down to the final 2 stages of the season? 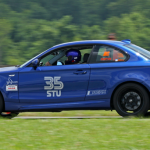 I can’t think of a more exciting way to wrap up the 2017 ARA season, setting the stage for an exciting 2018 season as well. 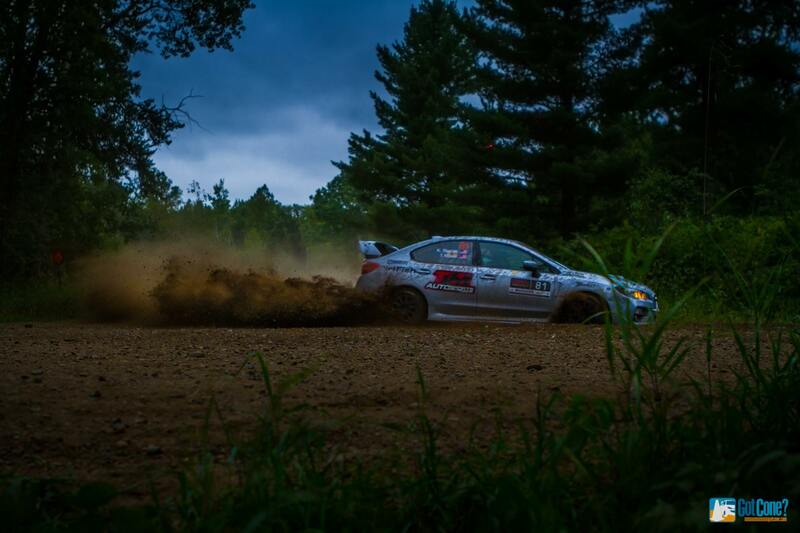 View photos in the 2017 Ojibwe Forests Rally Photo Gallery.